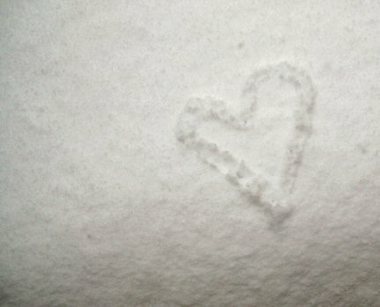 The snow is falling heavily, rapidly filling the empty pockets outside the glass, smoothing all the rough edges into a lovelier peace. Indoors too. We lost a wonderful friend yesterday. Mary Louise inspired each of us with her kindness, creativity, wisdom and elegant grace. Even her determined fight will be remembered as an inspiration. I am grateful to be tucked inside, at the worktable, my hands busy finishing projects today. That includes completing something to send away to one of you on Monday. If you are inclined, it would be so comforting to read what your sentimental pieced heart would be made from. I would love to know. Especially today.